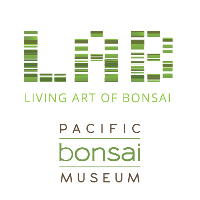 Join the worldwide bonsai community discussion as we watch the LAB artists reveal their experimental works in the LAB Session 2, LIVE! The LAB artists will reconvene at the Mary Lund Davis house in Gig Harbor, WA to reveal new works in the experiments. Lang will present two new pots: one in response to Heitzman’s stand from Session I and one for Neil’s styled tree from Session 1 (which Neil will pot on site). Heitzman will reveal a new stand made in response to Lang’s container from Session 1. Watch as the artists reveal their work, listen to the group discussion, and ask questions via moderated chat.